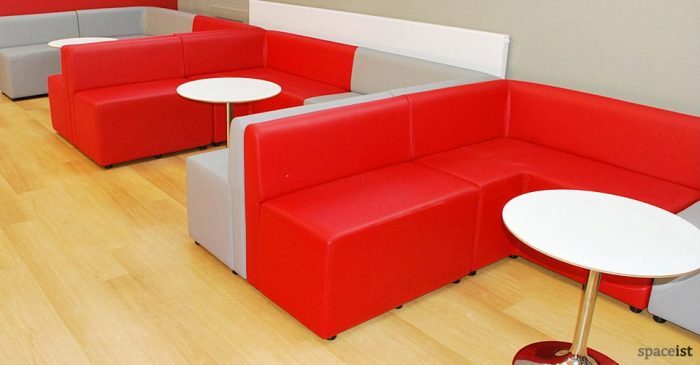 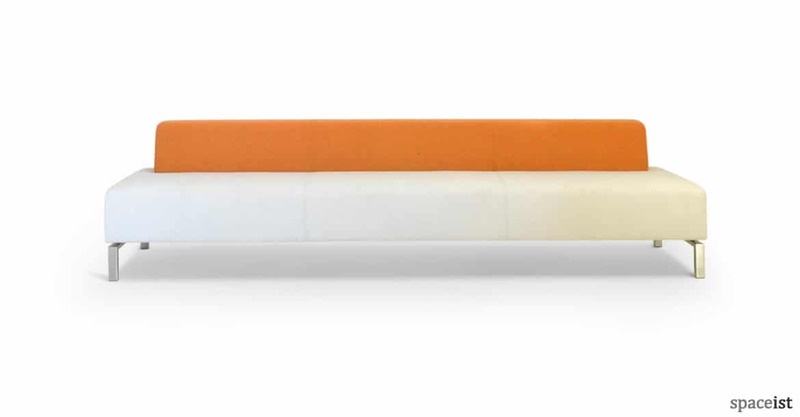 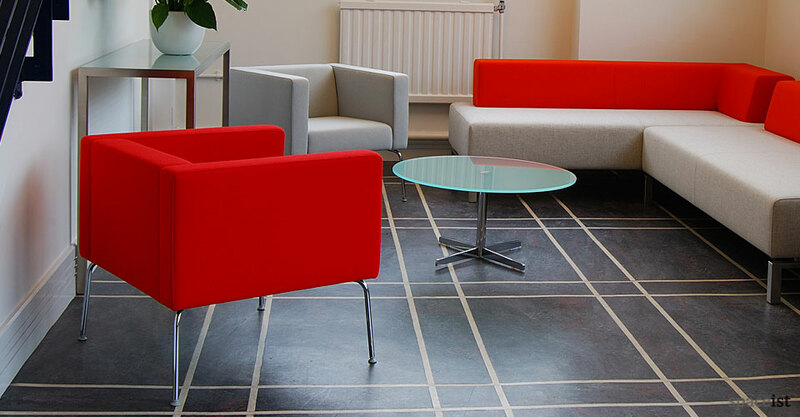 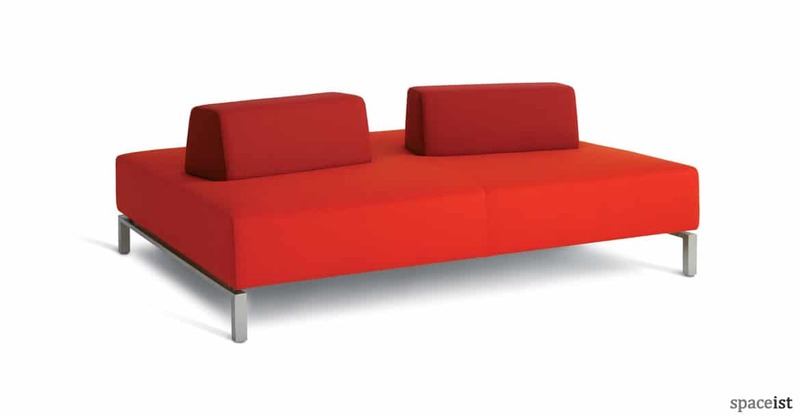 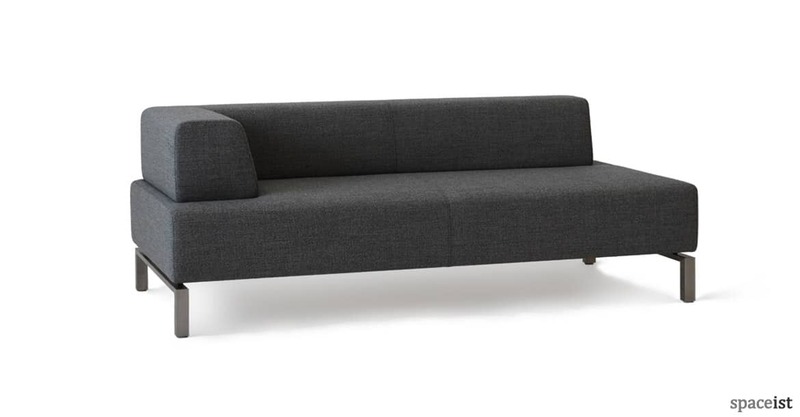 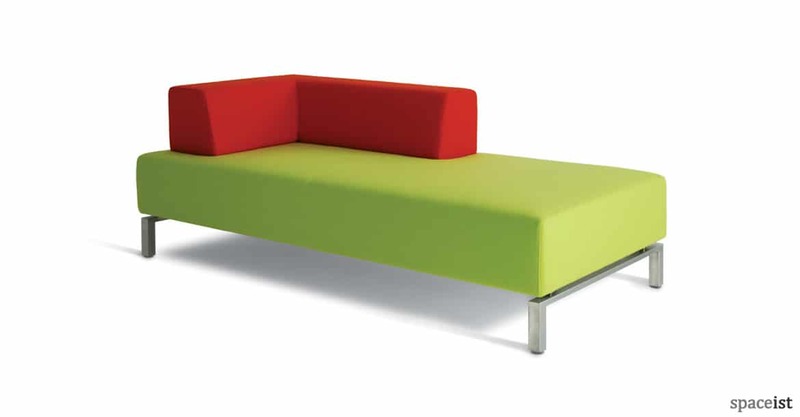 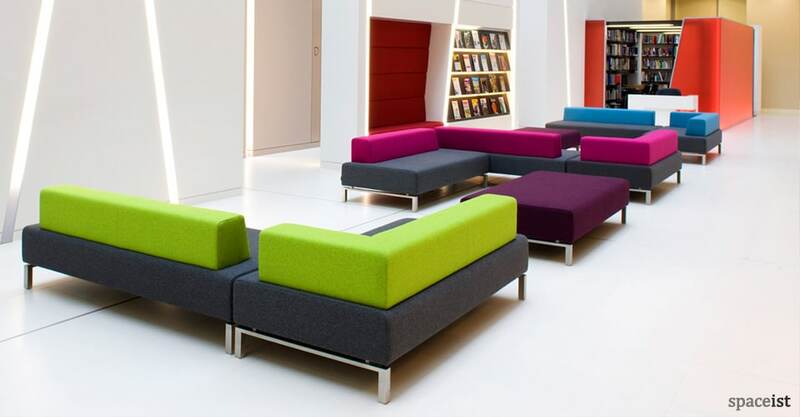 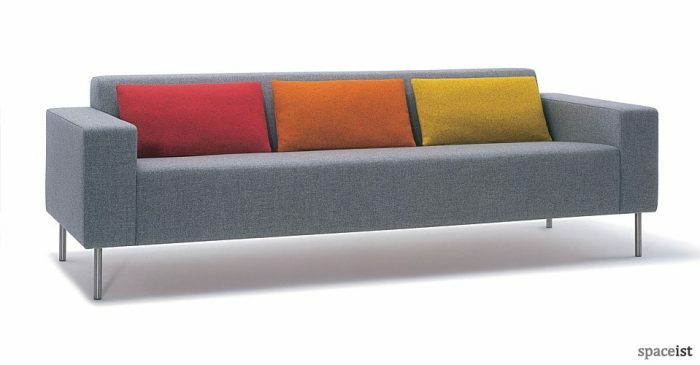 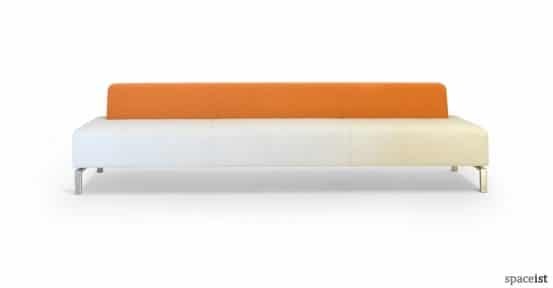 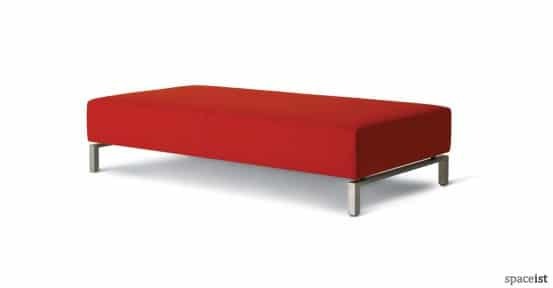 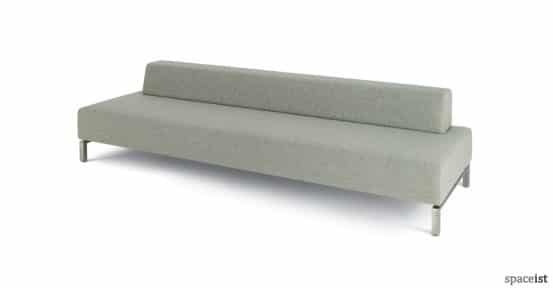 Categories: Office reception sofas, Designer reception sofas, Reception sofas, Corner reception sofas. 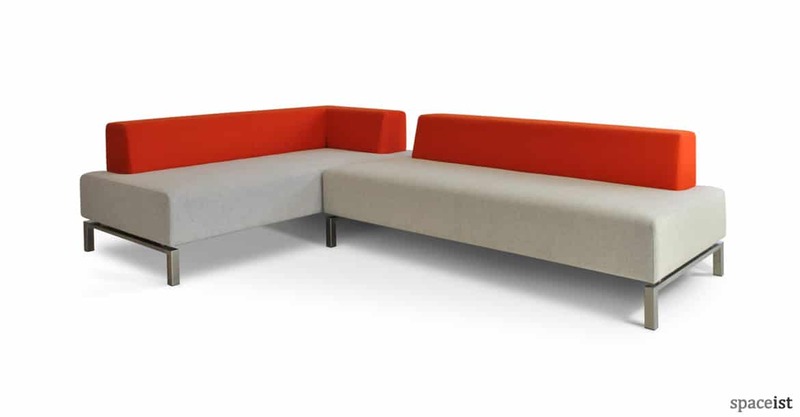 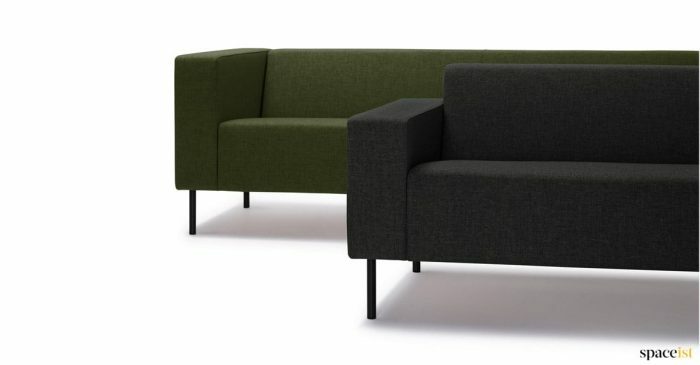 The Ninety-three range comprises one, two and three seat units, together with left and right handed corner units to allow the configuration of corner arrangements. 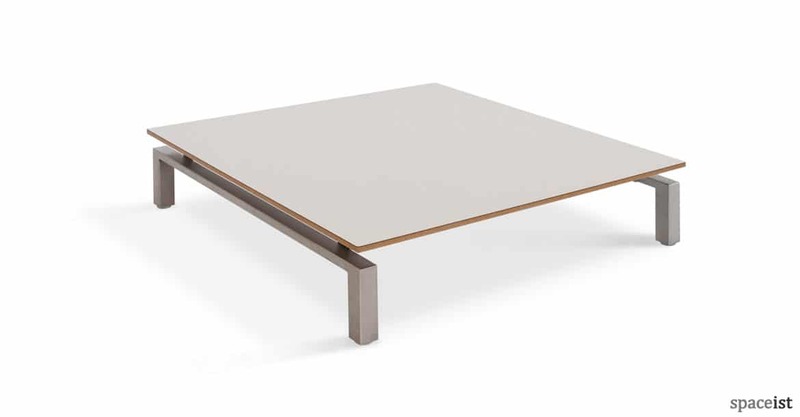 The collection includes a generously proportioned double-fronted seating unit with the option of either straight or staggered backs, and a low coffee table. 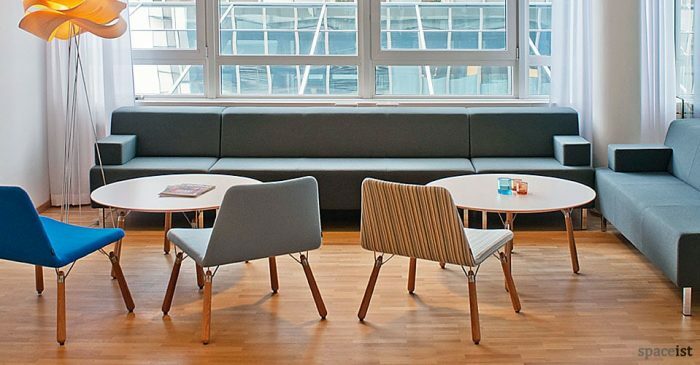 Frames are of FSC-accredited timber and panel construction with upholstery of graded CMHR foams. Legs are of fine brushed stainless steel.